Briffa teaches, but will McIntyre ever learn? Recently we’ve discussed several aspects of the raging controversy around climate blogger Steve McIntyre and dendrochronologist Keith Briffa and the supposed destruction (once again) of the “hockey stick” temperature graph. A few commentators have suggested that more attention should be paid to McIntyre’s actual “analysis” of Briffa’s Yamal tree-ring chronology, and less to his outrageous accusations (not to mention all the inconvenient evidence that those accusations were completely without foundation). Now that Keith Briffa has delivered his promised detailed response in an article co-written with Thomas Melvin, it is a good time to do just that. Here, then, is a review of the various problems I and others have pointed out in comments here and elsewhere over the past while, along with highlights from Briffa’s response. First, here is the abstract of Briffa’s article . 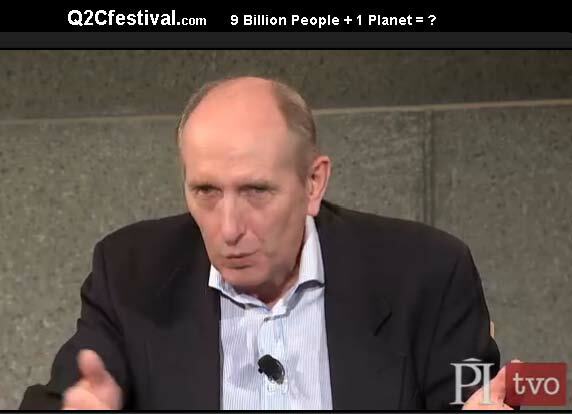 Posted in Climate change "skeptics"
Here’s an astonishing segment from a recent interview with futurist Vaclav Smil, conducted by New York Times environmental reporter Andrew Revkin. Smil claims that there has been “no global warming in the past ten years” and appears to suggest that we can safely ignore the problem of climate change because it won’t hit with “full force” any time soon, and its full impact is as yet unknown. Andrew Bolt is Australia’s answer to Canada’s Lorne Gunter: another climate contrarian and general all round right-wingnut. Like most of his ilk, Bolt is a rabid critic of government immigration policy and says Australia needs to “rethink immigration intakes”. And Andrew’s thinking, if that’s the right word, is that it would “make sense to choose those most likely to fit in”, which apparently do not include Muslims and other “people from war-torn, tribal and backward countries”. His critics reasonably point to what appears to be a “blatant racist hypocrisy”. Well, I’m sure that’s the major part of it. But it’s also got to be the funny names. 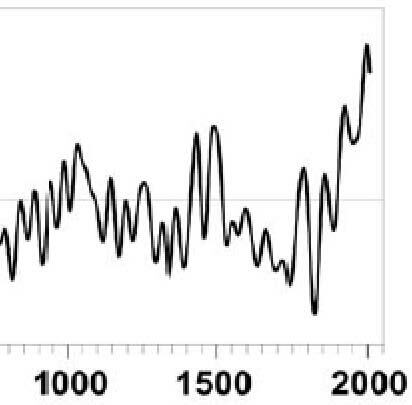 The latest battle over the “hockey stick” has taken quite a turn, one that may finally lay to rest all the absurd claims of its demise made by contrarians (not to mention apparently libelous accusations of scientific malfeasance). In previous posts, we discussed climate blogger Steve McIntyre’s scurrilous accusations of “cherrypicking” against UK dendrochronolgist Keith Briffa, and summarized a a quick technical critique of McIntyre’s work by a dendrchronologist known as Delayed Oscillator. Now comes new evidence that McIntyre’s accusations were completely false. And not only that, one of the Russian researchers who actually control the raw tree-ring data that McIntyre was mistakenly hounding Briffa for, has apparently confirmed that utilization of a newer more complete Yamal data set has no substantial effect on Briffa’s Yamal temperature reconstruction. Anyone who has blogged, or even just hangs around blogs more than they should, is familiar with the “pingback”. You know, it’s that automatically generated comment that signals that another blog has referred to a particular post. Yesterday, I got this “pingback” from a blogger called Delayed Oscillator (or “delayed.oscillator” as it is formatted there) and decided to follow it up. And am I ever glad I did. DO (pronounced Dee-Oh), as I will call this blogger (I hope that’s OK!) has brought a welcome expert perspective to the discussion of the Steve McIntyre-Keith Briffa controversy, said by certain economists and business section editors to expose the global warming sham once and for all. In a two-part series of posts, DO shows why it “ain’t necessarily so” (to say the least). By now, anyone who follows the climate blog wars knows that a new battle is underway over the standard temperature reconstruction popularly known as the “hockey stick”. Although it has been declared thoroughly shattered many times, apparently it must be attacked again and again. Over the last few days, self-appointed climate “auditor” Steve McIntyre has made several insinuations concerning the work of UK dendro-climatologist Keith Briffa, focusing on the recently released Yamal series of tree-ring measurements. Along the way, he has once again rehashed an oft-repeated accusation that “cherry-picking” of proxy sites is endemic in the paleo-climatological community that he disdainfully calls the “Hockey Team”. But this time, McIntyre has outdone himself, comparing the repeated use of the Yamal tree-ring chronology in paleoclimatology studies to a “crack cocaine” addiction. Yesterday I documented the sorry sequence of events resulting in widespread distortion of Kiel University professor Mojib Latif’s remarks at the recent World Climate Conference.